Offer each customer their preferred payment method with our service. You don’t need a separate contracts with banks and credit card companies. 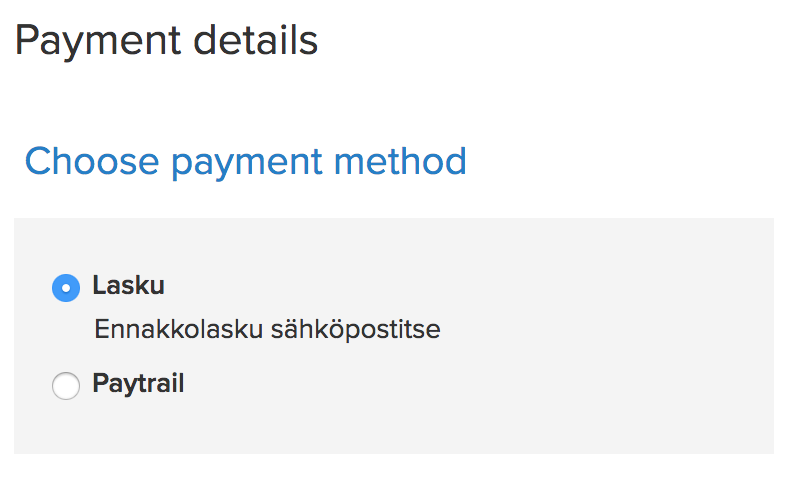 Order and payment information is transferred securely using encrypted https connection. 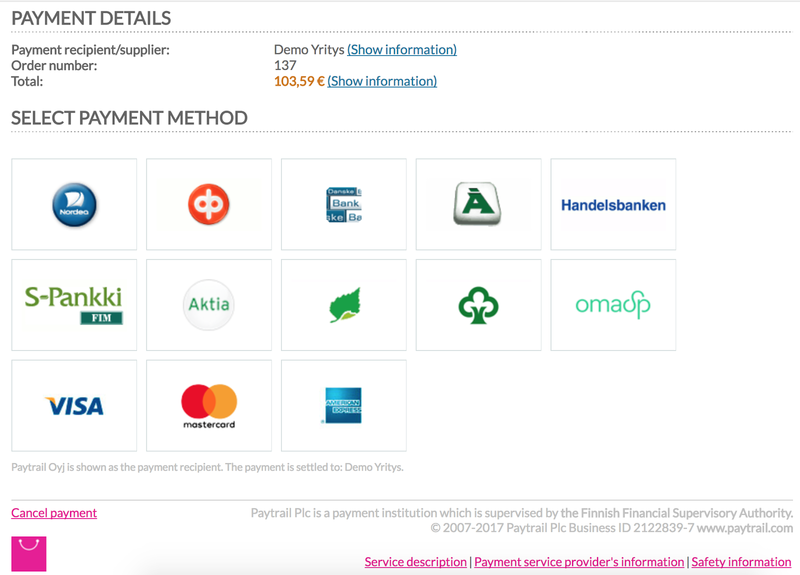 Service contains e-payments to all Finnish banks, major credit and debit card payments, invoice and installment and the popular Paytrail account. 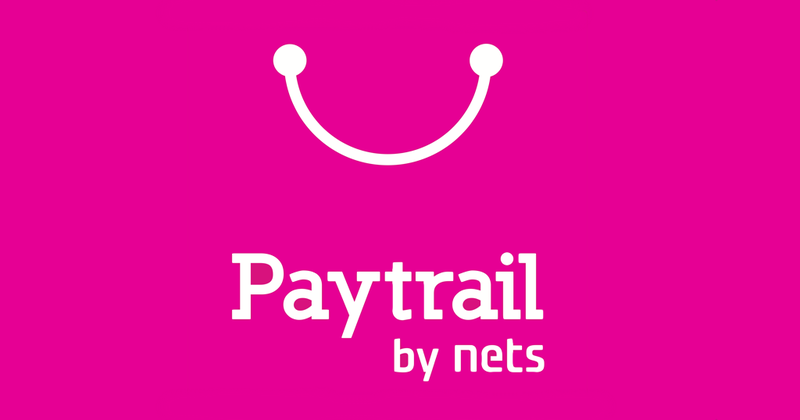 You can also track and manage your payment traffic conveniently in Paytrail Merchant Panel.